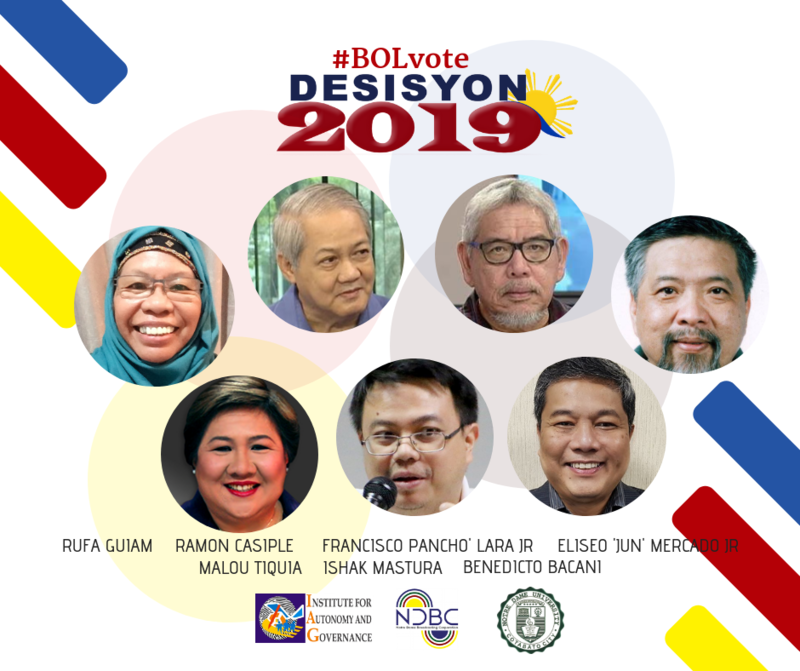 The Institute for Autonomy and Governance (IAG), Notre Dame Broadcasting Corporation (NDBC) and Notre Dame University (NDU) are teaming up to bring to the airwaves and online “Desisyon 2019”, a special coverage of the Bangsamoro Organic Law (BOL) plebiscite. IAG will provide in-depth analysis to NDBC’s boots-on-the-ground coverage of the January 21 referendum set to take place in the ARMM, Isabela City in Basilan, and Cotabato City. “Desisyon 2019” will air live on NDBC radio stations DXMS Radyo Bida and DXOL Happy FM in Cotabato City. Audiences outside the radio broadcast area can access the coverage on the Facebook pages of IAG and NDBC. From the IAG headquarters in Cotabato City, NDBC will carry live a pre-plebiscite media forum on Sunday, January 20, from 3 p.m. to 5:30 p.m. with Commission on Elections (Comelec) Spokesman James Jimenez and representatives from the Armed Forces of the Philippines (AFP) and the Philippine National Police (PNP). IAG will fly in from Manila a pool of political analysts, namely Ramon Casiple, Malou Tiquia and Francisco "Pancho" Lara Jr. They will join lawyer Ishak Mastura, Mindanao civic leader Rufa Guiam, IAG executive director Benedicto Bacani and long-time Mindanao observer and IAG senior adviser Fr. Eliseo “Jun” Mercado Jr. They will speak at the January 20 pre-plebiscite media forum, provide analysis and commentary to the “Desisyon 2019” sunup to sundown radio coverage on January 21, and assessment during the post-plebiscite media forum on January 22, 8 a.m., which NDBC will host and air live from its studio in Cotabato City. “Desisyon 2019” is the second recent collaboration of IAG, NDBC and NDU following the August 2018 public forum on the BOL.